Pike is not my favourite fish. But I tend to get them quite often. So many good pike recipes are needed. Shrimp-garlic-soup is one of my favorite pike recipes. 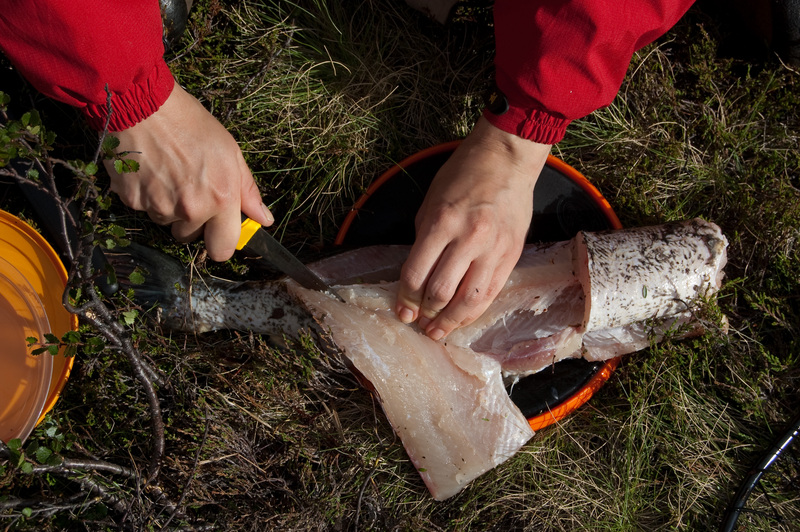 If you get a better fish than Pike, there are even more delicious things to do with it. Soak the dry vegetables, garlic and shrimps for 2-6 hours (eg. while walking). If you use dry fish and/or home-dehydrated shrimps, soak them in a different container than the vegetables (different cooking time). Clean the fish and cut it into eatable pieces. Wash it well. Boil the soaked vegetables and garlic for about 5 min. 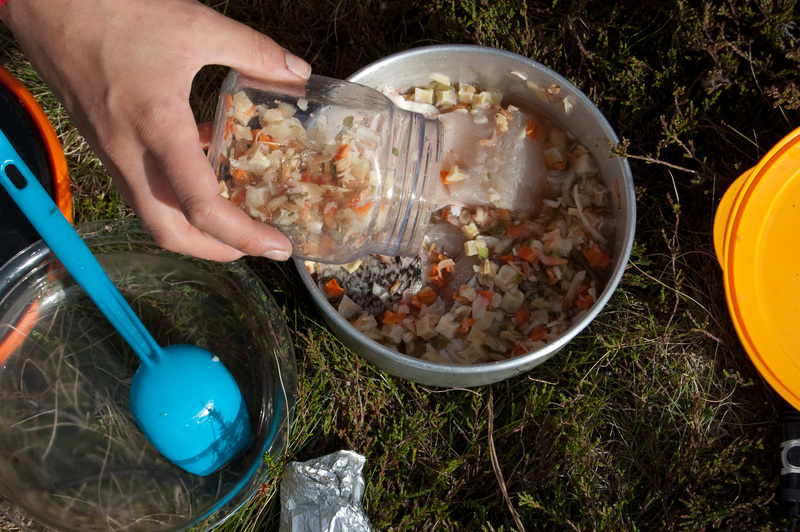 Add the fish (and home-dehydrated shrimps). Boil until the fish is ripe. If the fish is in large pieces you can put everything in the pot at once. Add the cheese and shrimp-cup-a-soup. This entry was posted in Fish, Fish soup, No dehydration and tagged buttercheese, fish, pike, shrimp, soup vegetables. Bookmark the permalink.